In our SME company, ECM INGENIERIA AMBIENTAL, I have been the guinea pig undertaking the first secondment in 3D-NEONET (out of 13 that we will have in the Project). Lots of new things to discover: a different language, country, culture, weather (this topic is very important if you go to Ireland!! ), friends, house, work and so on. The first day I was very nervous and expectant but this has been an incredible opportunity for me and my company. 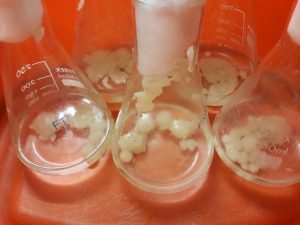 I am in summary very happy about this whole experience that can be summarised in the following sentence: Mycologists-microbiologists and chemists learn from each other and work together to ISOLATE NEW BIOACTIVE NATURAL PRODUCTS FROM FUNGI in UCD and ECM. 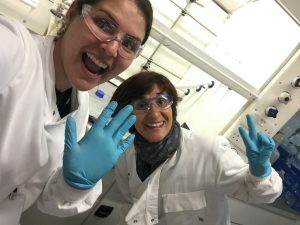 I think I can share here some tips that from my point of view you need to know if you are planning to go to UCD as a secondment. Especially when this is your first time in Dublin. – Accommodation in Dublin is very expensive and it is very difficult to find something nice to rent for less than 3 months. The best option I found in the end was through Airbnb (www.airbnb.ie) in Blackrock: a single room in a house with access to the kitchen so I could cook my own meals. – When you arrive to Dublin Airport, best option is getting the Blue Air Coach (www.aircoach.ie). Walk-way to the bus stop is very clearly indicated from the arrivals lounge. There are several lines, ask before. You need to ask before getting on the bus which line you should take depending on your destination. Also, ask the bus driver the bus stop where you can get off that is nearest to your accommodation. 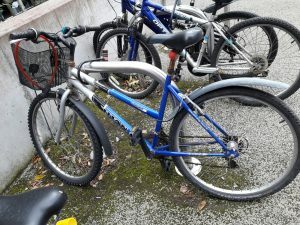 – Fastest, cheapest and healthiest way to move around in Campus and in Dublin is to get a second-hand bicycle. They sell very cheap/good deals at the bike’s shop in Campus, that you’ll be able to sell back to them before leaving. (www.belfieldbikeshop.com). 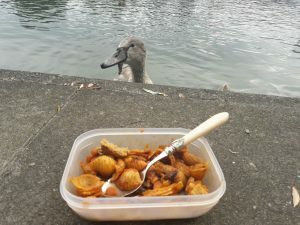 – When weather is nice and especially if there is sunshine, I recommend that you have your lunch sitting by the UCD lake. It is a perfect place/moment to recharge batteries and synthesize Vitamin D.
– For people coming from smaller universities, UCD Belfield Campus is like a new exciting city to explore. Get loss among corridors, floors and buildings some time… you will always discover something interesting and new. – Buy yourself a UCD thermal mug at the SU shops. You will not only be able to keep your coffee/tea warm for ages and bring it back home as a souvenir, but also get a €0.20 discount every hot drink you buy at the students shop (and your first coffee is free!!). – Make good use of your free time to visit around Dublin and nearby. There are lots of lovely places to discover. – And finally, do not forget to bring umbrella, raincoat and some winter clothes!!! (especially if you a coming from a warmer country like Spain. And these are my few tips for your landing into UCD/Dublin, while you get yourself organized to accomplish the objectives of your secondment. Your secondment will be grand! Enjoy! !